How is it that the Helly Hansen Garibaldi VL Women's Boots are able to look this good while keeping you this warm? Well, for one thing they use a faux fur lining not just to add a touch of style but also to keeps your toes toasty. And so all that heat stays in and the snow stays out, the rand is made from durable HellyWear Rubber that shrugs off snow and salt so you'll always looks showroom fresh even after hiking across town in a blizzard. "How does the shoe size run big or true to size?" "True to size. I hope that this answer helps"
"How tall are these boots??" "Thank you for your inquiry. 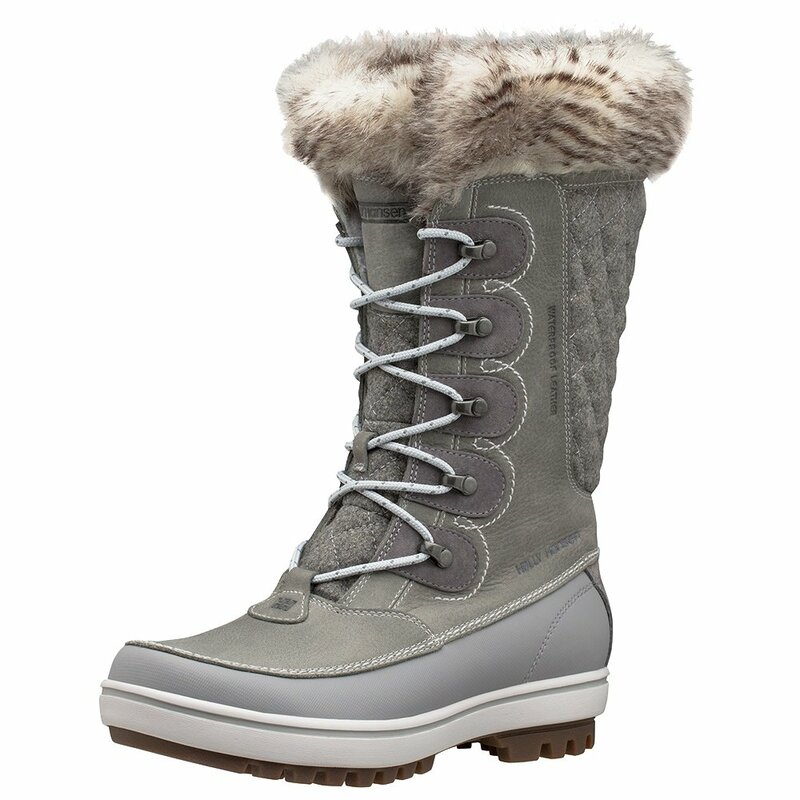 The Women's Garibaldi snow boot is approximately 11 inches tall. Depending on how tall you are this boot may reach you mid-calf. We hope this information!" "Are these boots insulated? " "Thank you for your inquiry. Yes, The Helly Hansen Garibaldi VL Boot are insulated with a Faux-fur lining for warmth. We hope this information helps! "